When our washing machine and dryer went out ( yes both at the same time ) I had no idea what to do with the mounds of laundry that needed to be washed, dried and folded for my kids, husband and myself. Luckily, a friend reminded me that there are laundromats nearby to help those that don’t have on ( or one that’s needing repair ) and after googling a few of them, I found one that was extremely close and had everything I needed to get these loads finished! 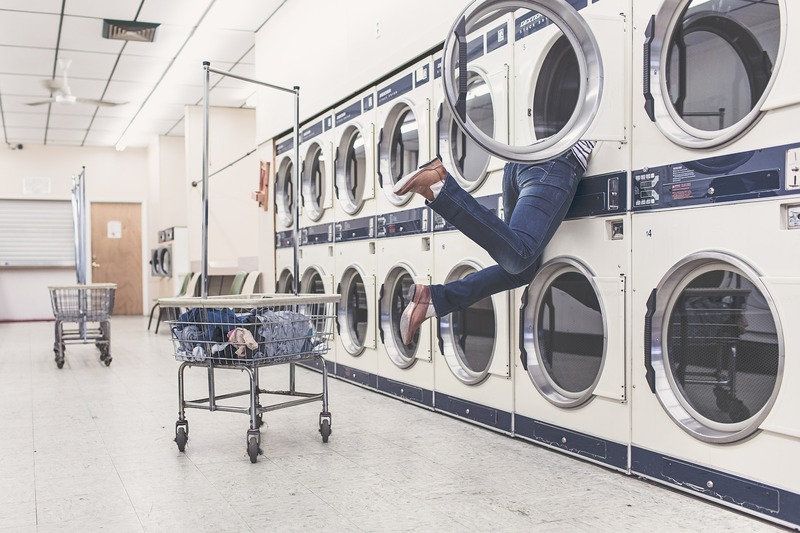 For those that have never been to a laundromat, here are a few tips I have to make it easier and help you get in, get out and keep moving throughout your day! The key is to be as quick as possible right. Remember, make sure all your laundry is sorted by your kid’s clothes or by color. What it is to make it easier for you to get in and out, go ahead and do it. This is key! Let’s keep it simple by on bringing what you really need to the wash your clothes such as your laundry, detergent ( pods are actually easier to bring in a plastic bag ) and a dryer sheet. Now I wouldn’t suggest going at crazy times such at 2 am, in fact, I would argue NOT to do it then but really think about when everyone might be going to do their laundry especially because you only have 3-4 washers to use with everyone else. I think evenings after work or on the weekends can be extremely busy. Since you don’t know who the last person was to use the washer and dryer, make sure to try and wipe down the washer and dryers BEFORE you use them just to be on the safe side. It’s a good precaution to have and use when you’re going to a location that you’re not sure of. I know it can be really difficult to sit there while your laundry’s getting clean but please don’t leave your churning clothes unattended. If you leave, someone might take the liberty of piling your clothes on top of one of the tables in order to use the machine. Don’t forget to bring a basket or a bag to help you bring all your nice clean clothes home! Bags can help too but sometimes you may have a wrinkled mess by the time you pull into your driveway. I like to put my basket either in the back of my car and then quickly fold the laundry and drape the hang-up clothing over top of it to keep them in good shape. Sometimes I also put a long hanging pole in the back of my car and hang all the hang-up clothes over it It makes it super easy to grab and put right into my closet. If you have to feel bring your little ones, make sure you have plenty of entertainment for them to stay busy while your laundry gets clean and dry. If they are old enough, you can always ask them to help you like pouring the laundry soap in the wash or help fold the dry clothes. Sometimes it’s even helpful for them to help to load everything too. If they aren’t old enough, I usually bring a big color or sticker book for them to stay busy or even reading new books we’ve picked out at the library. 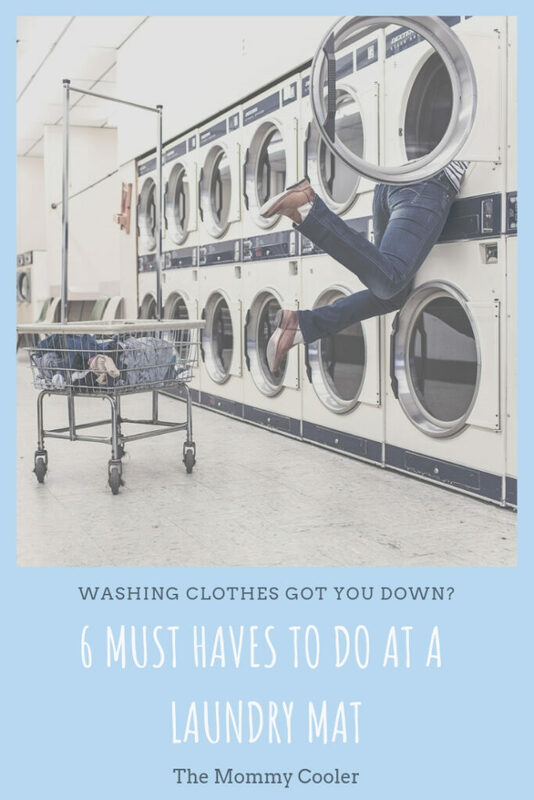 Are you looking for a laundry mat that meets all these criteria?If you live in the Virginia area, the people at The Clothes Spin laundry, located in the Lynchburg area, is the perfect place for you. They are open 24 hours a day, 7 days a week and perfect for when you could be in a pickle like I was. They have 22 washers and 24 dryers that are available for you that wash about 80 pounds of laundry and 3 various sizes! The best part is, with so many things to remember to bring with you, one of them isn’t cash or coins! They have a ClearToken app that you download and purchase your laundry credits with. The app walks you through everything so you are able to get in and get out at your convenience. Hopefully, these tips are helpful when needing to go to your local laundromat with yourself, friends, family or your children. When it comes to getting your laundry done, that’s all that matters and you can count on the friendly people at The Clothes Spin to make you feel safe, secure and able to get in and out as you please to go about your day. What are your favorite Laundry Mat tips?